Our vantage point in November 2010. When all four of us went to Disneyland in early November 2010, we were just learning about DS8’s behavioral and sensory issues. With both parents there, we were able to keep him mainstreamed, as far as lines go; however, we did realize that the World of Color would be an issue because of the pressing crowds. We purchased the picnic option and were handed four “Blue” section fast passes. We found out from one of the Leads in the World of Color area that the Guest Assistance area would be opened before the general area so that those needing assistance could get in ahead of the press of the crowds. We explained our issues and were given a time and place to show up. We knew that if we got DS8 in before the crowds and “ringed” him with a rail in front and each of the rest of us to either side and behind, he would probably be okay. Just as the Lead said, the area opened up, and we were able to get DS8 situated. With the assistance of his noise reducing headphones, he enjoyed the show. Now, let’s fast forward to our “Mom and Kids’ February 2011” trip. 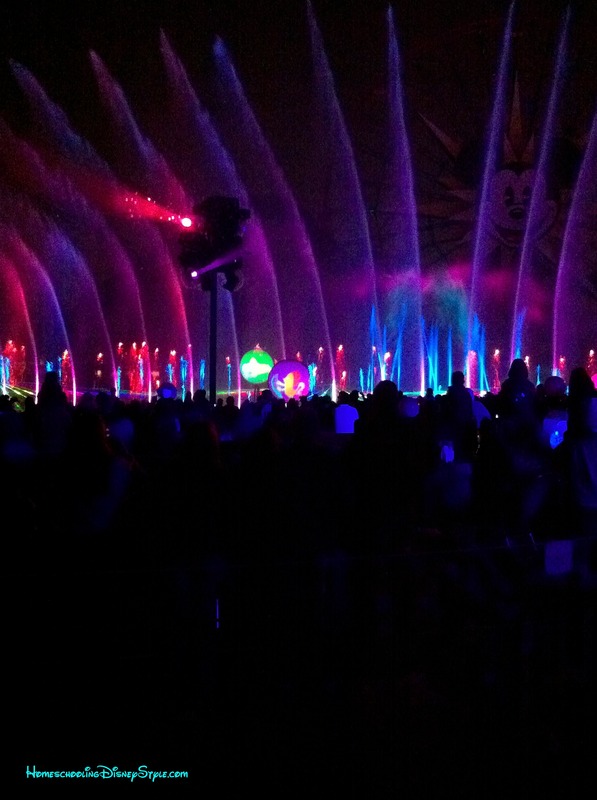 Because we made our hotel reservations with an Annual Pass rate, we were given fast passes for World of Color. These fast passes were for the same section as before, “Blue”. Unfortunately, some of DS8’s issues have worsened, so we were so happy to have been able to utilize the Guest Assistance Card. I will add that it is not a “front-of-the-line pass”, nor does it always make the wait shorter. What it does is give an alternate waiting area out of some of the typical stressors that cause outbursts. It is coded for the type of assistance needed so that the cast members provide what is needed for each person. With this card, we would be able to more easily access the Guest Assistance area of the World of Color viewing area. When we got to the “Blue” section, they were getting ready to open the section for everyone. I asked about the Guest Assistance area and was told that everyone was going in at the same time. This did not bode well. When we finally made it through, DS8 was really stressed, and nothing we did would calm him down. A very nice cast member who has a niece on the Spectrum realized that we were close to a meltdown and offered the kids a seat on one of the benches. Our World of Color "Blue" section Guest Assistance seating. Note: I flunked art… There were two or three columns of benches, two benches deep. The red dotted line is a rope separating the “Blue” section Guest Assistance area from another section. 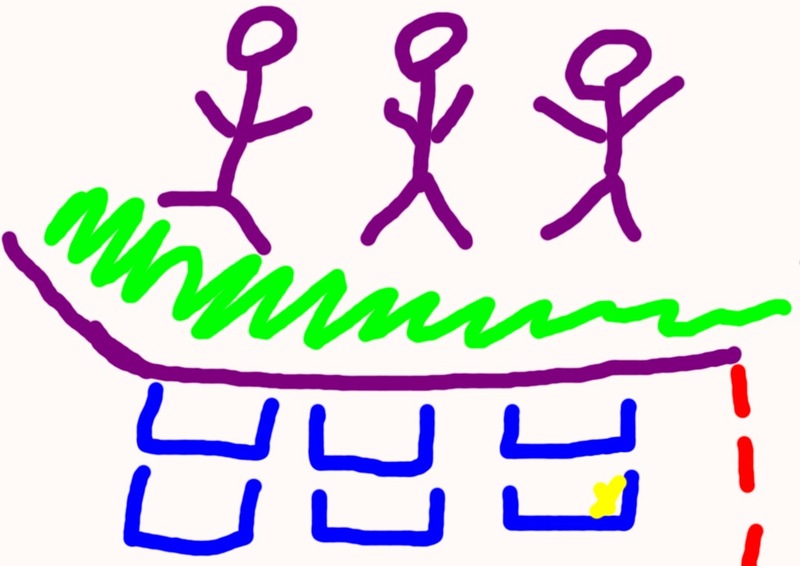 The purple line is a rail, and the green is a small grassy area before another area of people standing. The yellow “X” denotes where both DD11 and DS8 were sitting, DD8 on the outside of the bench. Next to DD11 was a lady, and on the other side of this lady was her adult daughter. I stood behind the kids. While we were all waiting for the show to begin, we started talking to the lady next to DD11, and both kids started talking with the lady’s granddaughter. On the bench in front of the two ladies was a couple, but the space in front of my kids was empty. As the show started, there were two teenage girls who, all of a sudden, stood up in front of the front bench in front of my kids. These two teenagers were also blocking the view of the older lady sitting next to DD11. The older lady got their attention and asked the teenagers to sit down. Their response was that they couldn’t see and were going to stand. Then, they moved shoulder-to-shoulder in a move to block our view. I looked around, but there was no cast member anywhere to help out. There was nothing we could do. I shoved DD11 and DS8 into an area beside these girls. I offered a standing spot with a view to the lady that had been sitting next to DD11. Unfortunately, she was unable to stand for the length of time and missed the entire show. After the show ended, we waited for the crowd to clear out. I spoke to a cast member who is sometimes a Lead but not that night. I explained what had happened, and she said that the cast members are no longer allowed to stand in the sections. She suggested that I go to Guest Services to explain what had happened. It was there that I was told something very interesting. One of the cast members at Guest Services told me that cast members were not to get involved in situations like that because they were afraid of a harassment lawsuit. I was floored! So when I got home, I kind of stewed over it and was going to let it go until I read this article about an Autistic boy who was bullied by teenagers at Walt Disney World. 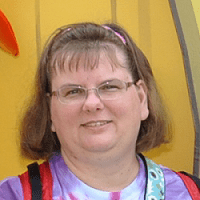 Here is the resolution to Amanda Broadfoot’s experience with Walt Disney World’s representatives. After reading this and reviewing our experience, I emailed Disneyland Guest Communications about what had happened that night. I outlined everything that I had seen, as well as, everything that I had been told that night by cast members. I was very disappointed to receive not much more than a form letter type of response. I feel that I have enough information that Disneyland should be able to contact the woman who was unable to stand and missed the show, but no one has shown enough concern to contact me personally. Here is an excerpt of the email that I got from Disneyland in response to my email. I received this response February 25, 2011. I found the guide map from our trip and located an interesting statement, “Courtesy – We work hard to offer a comfortable, safe and enjoyable experience for all our Guests. Please assist us by showing common courtesy to fellow Park Guests…Do not use…or engage in…offensive behavior…” What is more offensive than blocking the view of people who do not have to ability to stand? 1) Why would the experience from November 2010 to February 2011 become worse? 2) Why would Disneyland be so afraid of harassment lawsuits that those who have disabilities would be left to fend for themselves? 3) Why would there be no cast members left in the Guest Assistance area to ensure that this type of behavior is not allowed? After reading the articles that I linked to earlier, I believe that Disney’s policy in relation to Guest Assistance needs to be reviewed and revamped. I don’t want to outrage people; I just want to bring out that this type of problem does not seem to be isolated.